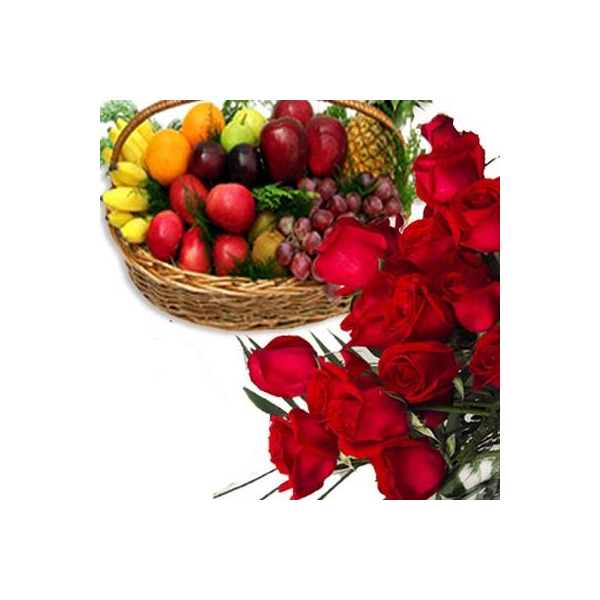 This Basket of Love comprises of a bunch of 15 stems of mixed colours Roses & Gerberas with 3 kgs of mixed fruits in a basket. 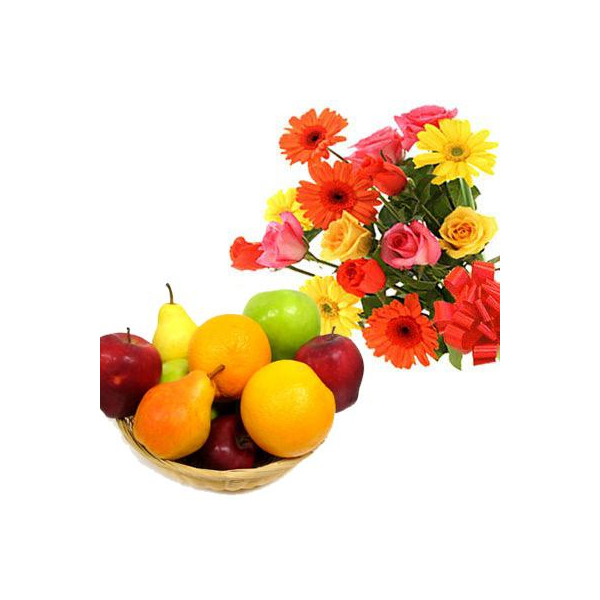 Fruits are for good health. 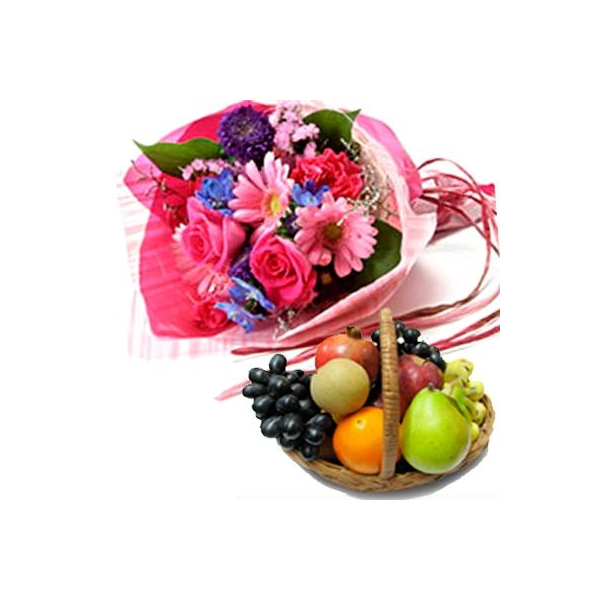 Flowers are always a delight to be received. 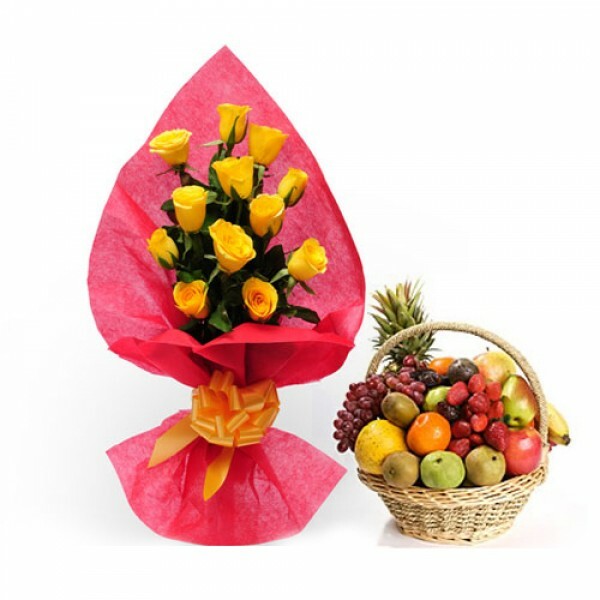 Flowers are meant to be received with love and affection. They are so beautiful and attractive that they suit invariably for any occasion and person. 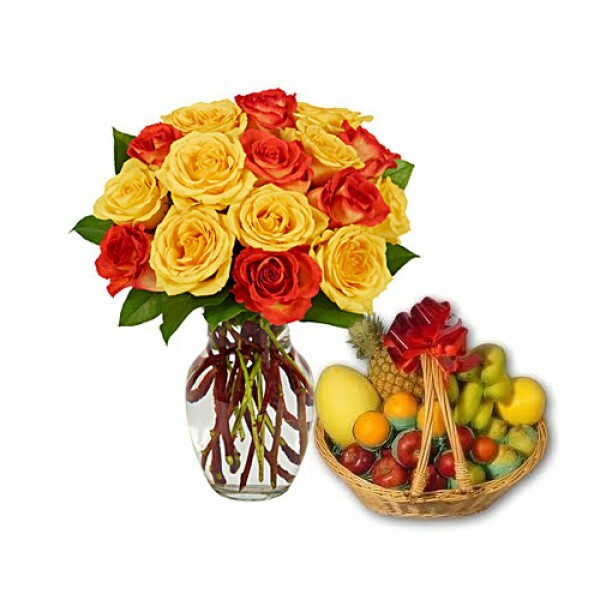 This combination of healthy and fresh fruits and super fragrant flowers is amazing for any occasion or festival. 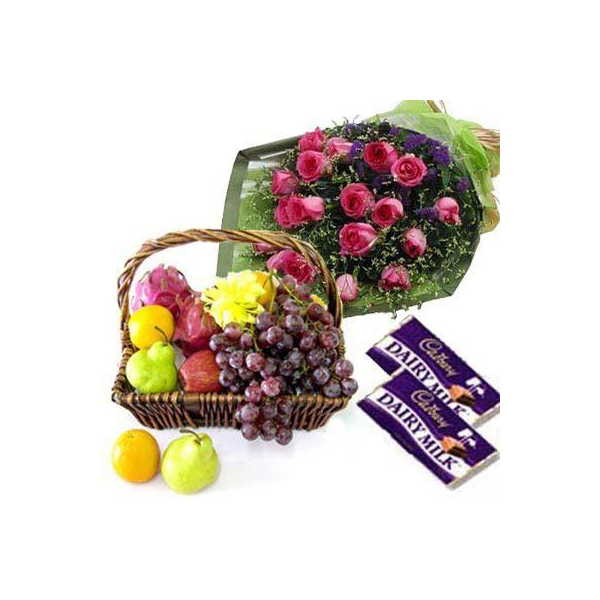 Also at flowerscakesonline.com, you can surf for other interesting gifting ideas to your near and dear ones. With a strong service and customer care backup, you can gift hassle free. 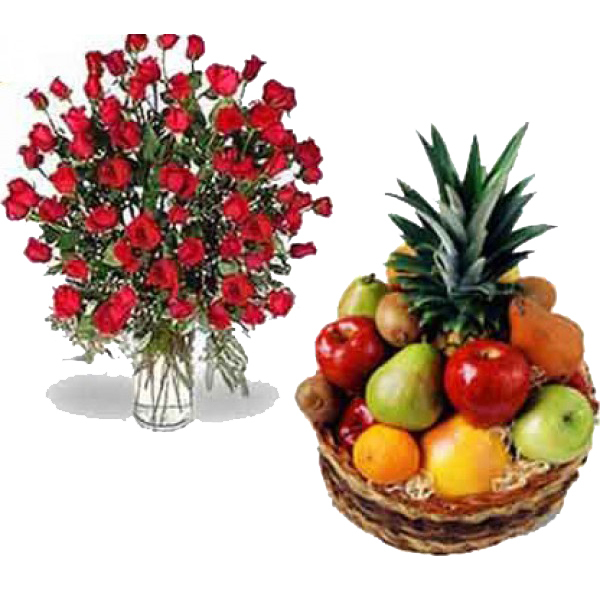 Product details: 15 stems of mixed colours Roses & Gerberas with 3 kgs of mixed fruits in a basket.